Happy Friday, we finally made it, now if the rain would stop so I can enjoy the weekend! Today is my boyfriend Eric's birthday, so I am so excited to celebrate that with him this evening. We are headed to a family dinner and then will probably go to a movie or something. Can't wait to show him what I got him, probably the best gift yet, it just came out and the brand is one of my favorite snacks in the Fall, goes with Honey Crisp...well you get it. Anyways, I bought this shirt a couple weeks back and love the fit I ordered a small. It looks like the shirt is currently sold out, but I have a feeling it may be restocked. 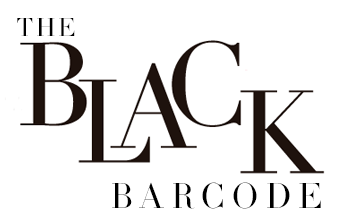 Also check in stores! I also bought it in a solid white because I really need basics. I hope everyone has a great weekend! 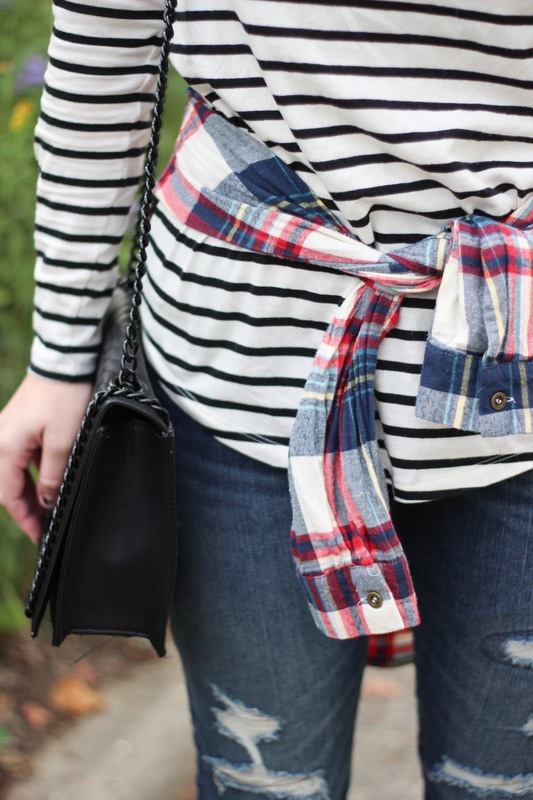 Loving the stripe shirt with the plaid tied around! super cute and fun fall look! 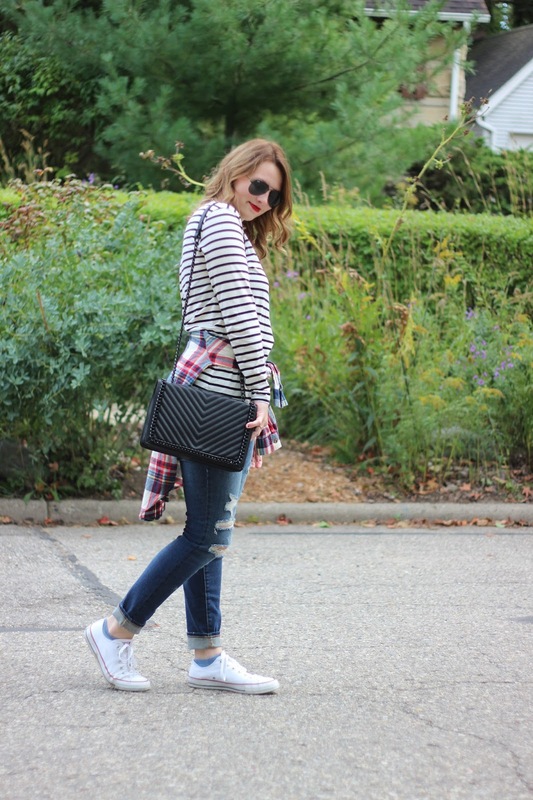 Stripes and plaid is one of my favorite combinations! This is so cute! I love this look! 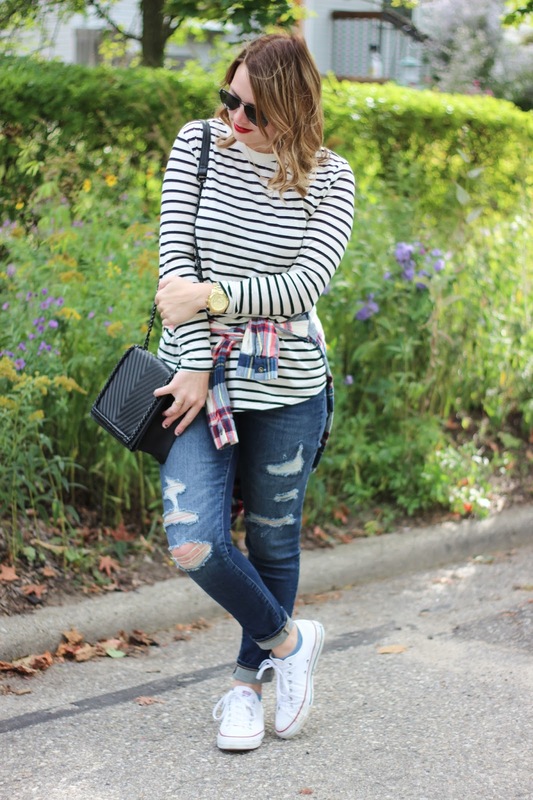 Stripes & plaid are two of my favorite prints to mix! 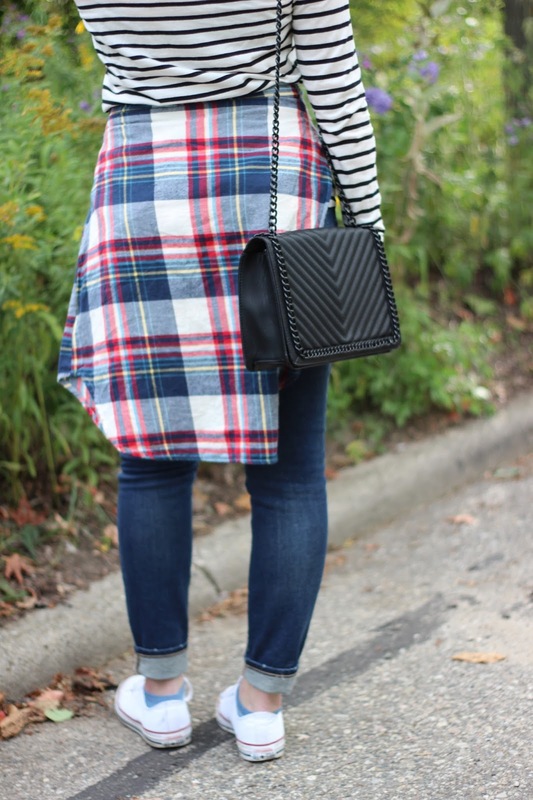 Love the mixing of plaid and stripes! 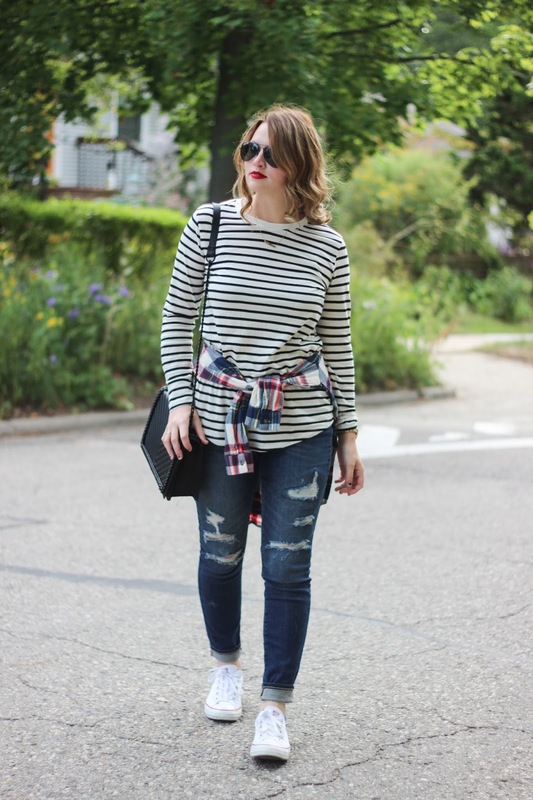 This is a great fall look! 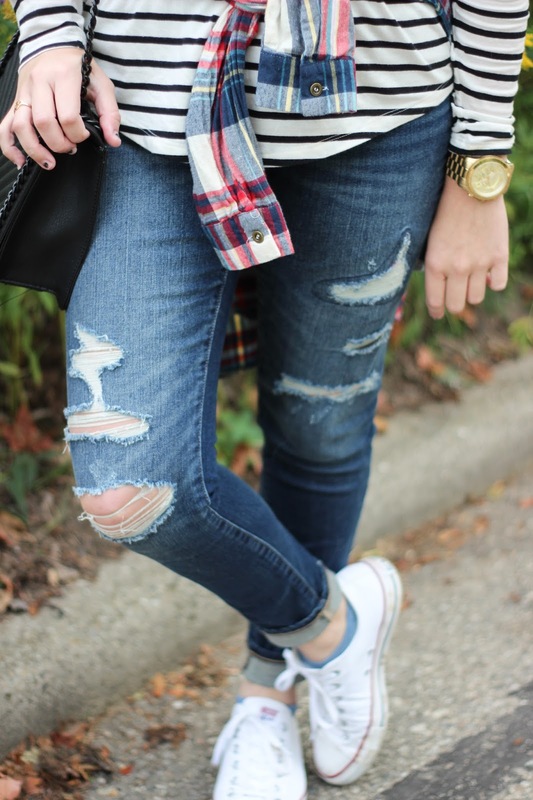 Stripes and plaid are one of my favorite pattern combo's! Also love your denim! 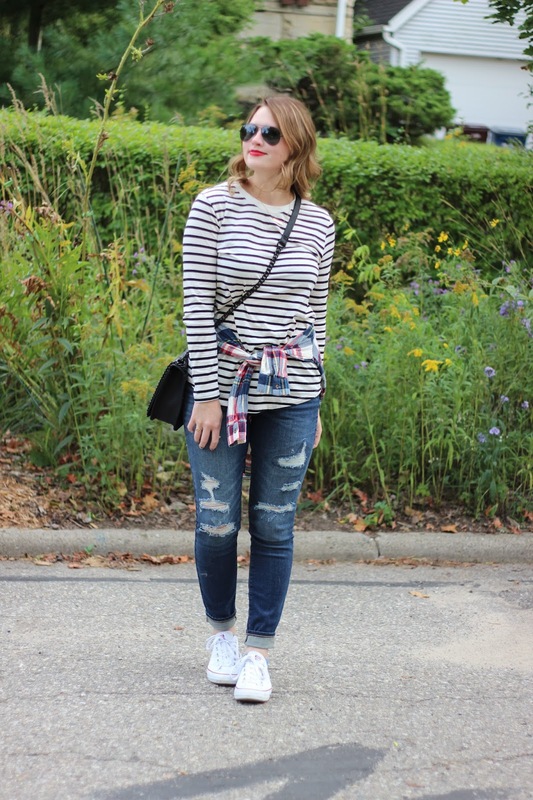 loving this casual fall look! perfectly styled!! I'm definitely trying something similar to this!!! Love it girl! Perfect pattern pairing, love it!